Arab-Israeli singer Sami Odeh is quickly becoming a rising star in the Middle East. 24-year-old Sami who grew up in the small neighborhood of Kababir, Haifa has already caught the attention of millions with his music and covers of popular Arabic songs which he regularly posts on his Instagram. His recent song ‘Qet3a Minne‘ which was released in January has already amassed over a million views on YouTube and is gaining popularity on Anghami, the Arab equivalent of Spotify. 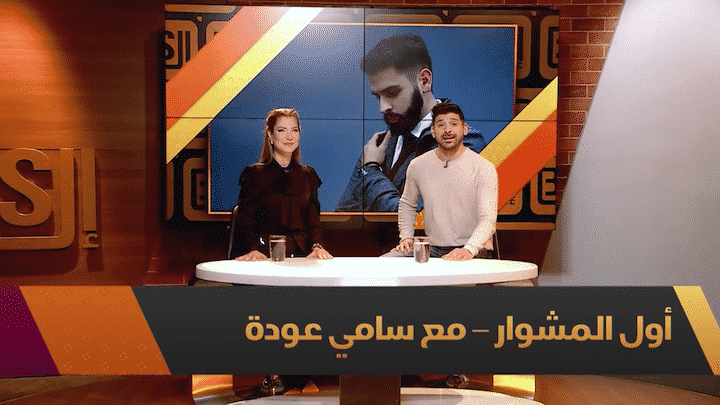 This past weekend we caught up with 24-year-old Sami to find out more about how he got into the music industry and the challenges of producing music in the Arab world. Q: How did you start your singing career? It all started when I was still in sixth grade, we were in the music class in school, and the instructor was playing the piano and all of the class was singing along. Suddenly the instructor asked everyone to stop singing and asked me to keep singing by myself. I felt a bit shy, but I did it anyway, so he asked me to stand next to him and continue singing. Afterward, he called my parents and he told them your son has a gift, and you shouldn’t let it go to waste. From then on everyone started noticing my singing. Q: How did your family react when you took up singing professionally? I am glad that my parents have been my biggest supporters, they continue to support me and encourage me, and assure me that whatever challenges I may face they are going to stand by me, and if they see that I am not making a buzz with my music, they encourage me to work harder. I do not write my own lyrics, I have poets from Syria, Lebanon, Palestine. I deal with a bunch of writers. I explain to them what I want and the theme of the song, what kind of hooks are needed and the story it needs to portray. Based on those directions they write the lyrics for me. Q: Where is your music getting the most attention? My music is very popular in Palestine, Lebanon, and Syria. The music is getting played across age grups in the Arab world it warms my heart when I receive snapchats, videos of people singing my songs. I dream that I can present my music to a huge huge audience, and am able to earn a name for myself in the Arab music world. Q: How hard is it to producing music in Haifa? It’s quite hard in Haifa, and generally in all around. We do not have production companies, and some don’t value artistic talents. So there is no production company that is willing to sponsor my music and pay for the writers and melodies that I use. I pay everything from my own pocket, this is very tough given that all of this does not come cheap. Q: What were the challenges that you had to go through when you first started? I was worried how people will react and if the ones close to me will like it or not, but thank God they turned out to be my biggest supporters and with their help, I succeeded. Q: When can we expect to buy your album? Album is still an early step for me as it requires a lot of budget, I have been releasing singles for now but an album will definitely is in the view. Q: Is there anything that you would like your fans to know? I have been working on my music for the past 4 years and I am constantly improving myself, I want my followers to know that they should expect a big launch very soon.